This weekend was busy and fun! I didn't pick up my real camera once, which is unusual for me. Thank goodness for cell phone cameras! 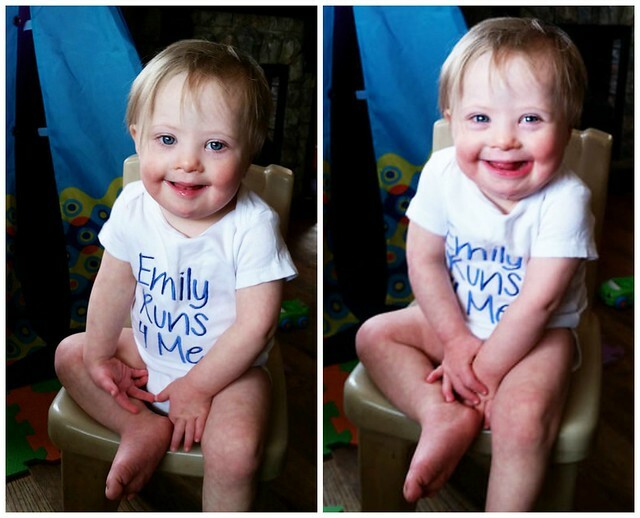 I consider my weekend starting on Fridays, and my weekend started off with big smiles! Friday afternoon, I loaded up the car, put the kids in the car, then realized my tire was flat. WHAT?!? I had to take the kids out of the car, and call to ask my dad to bring an air compressor. Lily was ready to go visit her Papa and Nina, and was mad when I told her we had to wait. 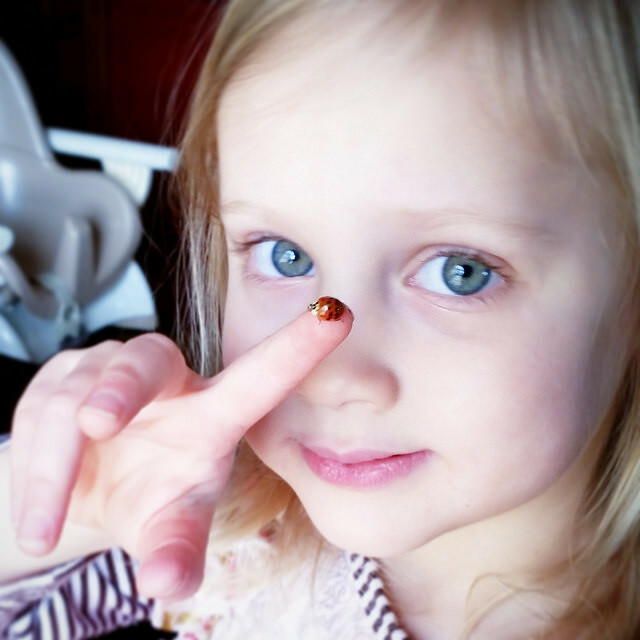 Thankfully, she found a ladybug, and playing with her new "pet" made the wait time pass quickly. After my dad filled my tire, he took Lily with him, and Liam and I headed to the closest garage to get my tire fixed/replaced. I always chat with people wherever I go, and I make sure to thank anybody who helps me or does something for me. After I pulled into the garage, I thanked the men who were going to work on my tire, then spent some time talking to the 3 people working behind the desk. I ended up getting a free tire! Being polite often pays off! That evening, Lexie had a sleepover at my parent's house. I had a ton of stuff to do at home...groceries to put away, laundry to fold and put away...but my littlest guy had other plans. He ended up waking up screaming, which is rare for him, and had a fever. 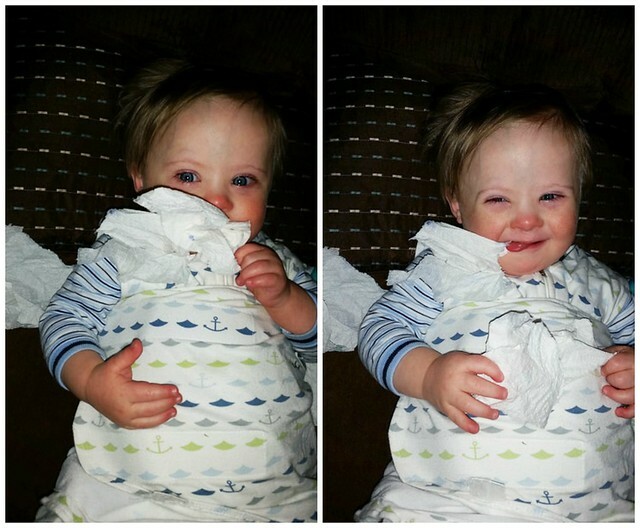 The Tylenol worked quickly, and tearing up a napkin seemed to help! The entire family ended up sleeping in really late the next morning. I bought new blackout curtains for our room the night before, and let me just say, I now know why the boys tend to sleep so late! It was like nighttime in there, and we just kept sleeping! 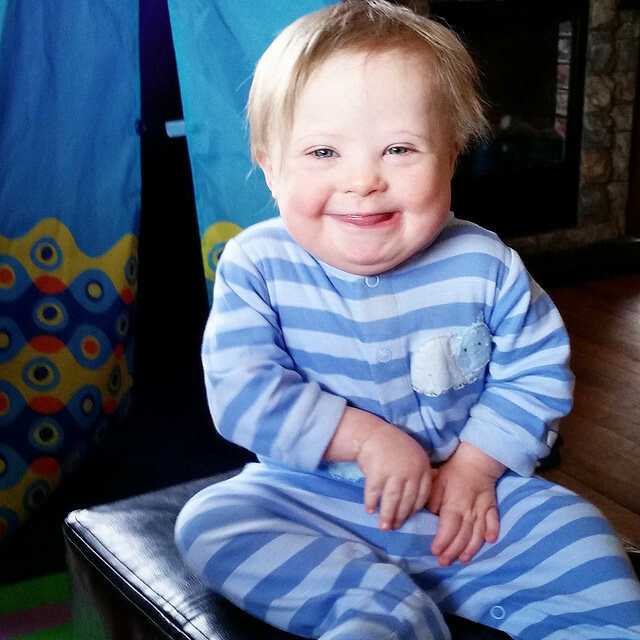 Liam woke up feeling MUCH better, and put on his special onesie to cheer on his sweet runner! Lexie came home in the afternoon, and shortly after, Grant took Lexie and Dylan to a friend's house. The little ones took a long nap, so I was able to relax, take a shower, and enjoy several hours of peace and quiet! That evening, we went to our friends' house for a few hours! 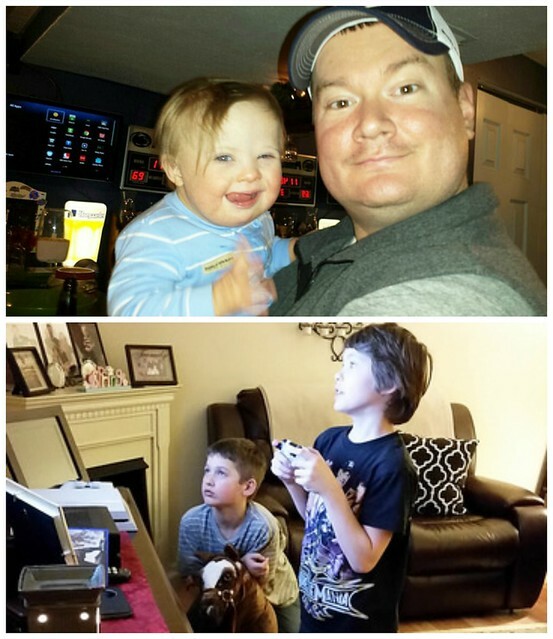 Our kids had a great time playing Kinect Party, then they played together while the adults played darts, bowling, and karaoke on the Xbox. Liam hung out late with the big people, and Dylan ended up having a sleepover. We had a fun night with great friends! We got home late, and immediately went to bed. As soon as we woke up, Grant rushed to pick Dylan up, and I rushed to get the girls ready for a special afternoon. As soon as Grant came back, he took over playing with Liam, and the girls and I left. We met up with some friends to see Cinderella. 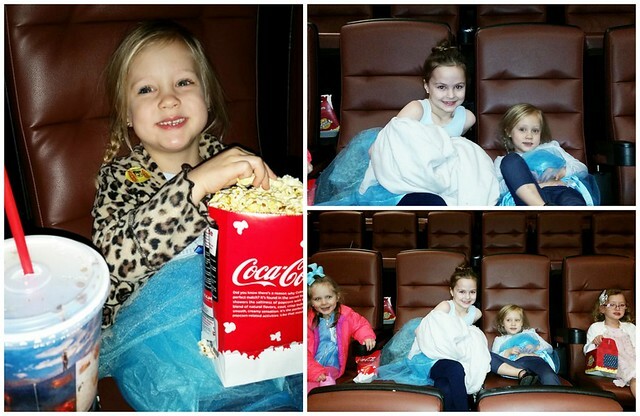 It was Lily's first time seeing a movie at the movie theater, and it was the perfect first movie for her. The Frozen short film at the beginning was funny, and we ALL loved the movie. I loved the "Have Courage. Be Kind." theme throughout the movie. I hope my sweet girls remember that always! Have Courage. Be kind. It's a great motto to live by! The rest of the day was a whirlwind, complete with a toddler tornado who decided to eat a bath crayon. At least he kept it festive, and chose a green crayon! It was a weekend full of family and friends! My favorite kind of weekend! Working on: The bathroom renovation. Someday, we'll finish! On Wednesday, I'll swap the St. Patrick's Day decorations for the Easter decorations. 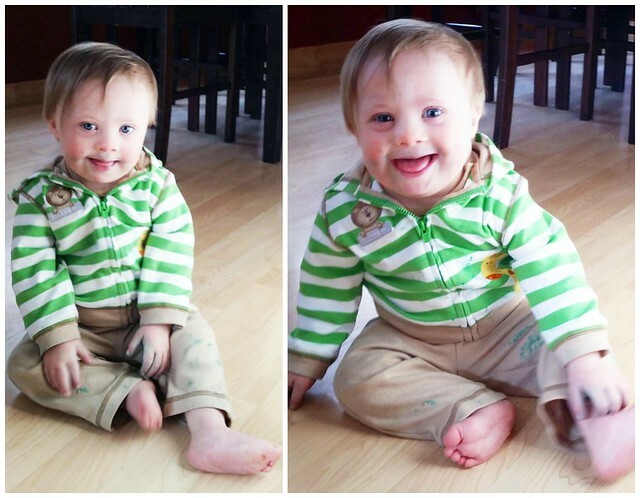 Doing: Family Movie Night, Celebrating St. Patrick's Day, OT/PT/ST for Liam, Storytime for Lily, Intramural Club and Choir for Dylan, picking fundraiser stuff up at the school, a Thursday playdate, grocery shopping, visiting my parents, and going to a World Down Syndrome Day Tea Party! Planning: Our summer vacation! I think we narrowed it down to North Carolina. Any favorite beaches you recommend? Listening To: Constant chaos? KIDDING. Usually whatever my kids want to listen to on the radio, with the occasional musical soundtrack thrown in! Worried About: When we're going to get our dog's ashes back. It has been almost a month! I fear they lost them and her collar, and I will be devastated. Shopping For: Warm Weather clothing, more Easter decorations, and Easter Basket stuff. I hope you all have a wonderful week ahead of you! Sounds like a fun time was had! Sounds like you had a great weekend. Love that special onesie, that is awesome. Hope your having a productive week, happy hump day! Oh glad to hear the Cinderella movie is good, it looks good and want to take my kids. So awesome about the free tire! I too always try and talk with people when I go places. So many people are just too caught up in themselves and hurrying in and out, it is so great to just slow down and talk for even just a minute.